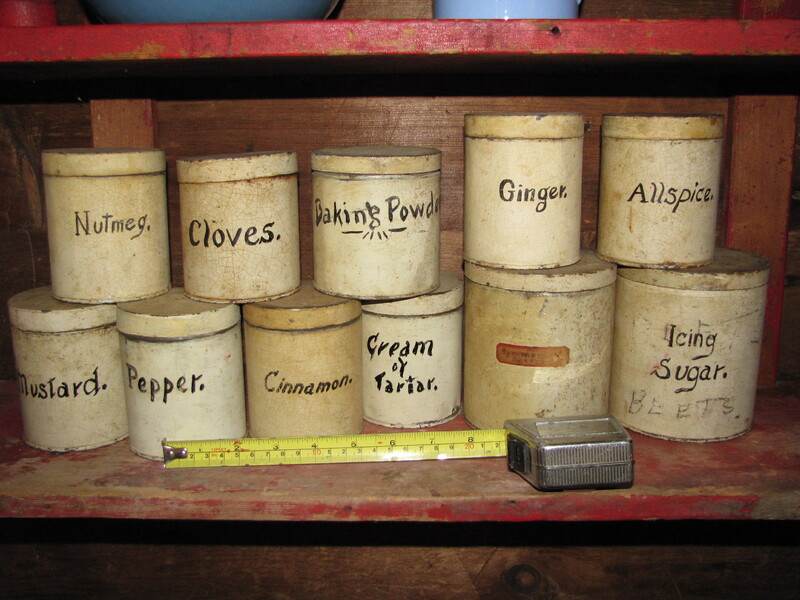 A set of eleven pantry tins with hand painted "labels". 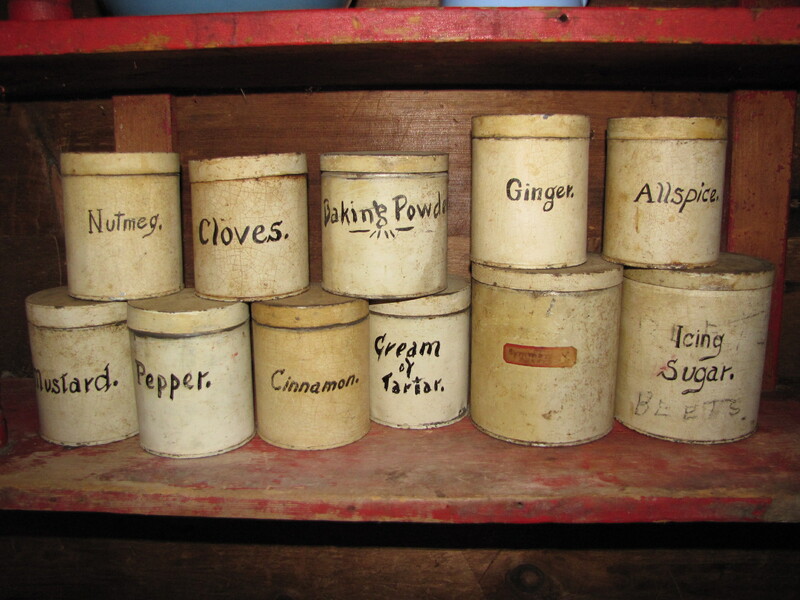 Likely from the 1920's or 30's when someone painted and then named the tins they needed. These are still useable and in good condition. 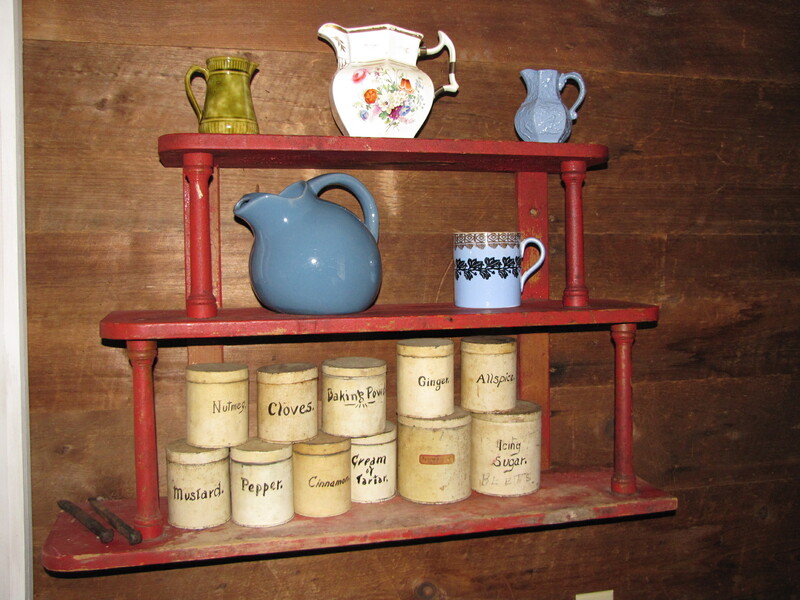 These fit both the folk art and nostalgia category and are fun to have in a kitchen.